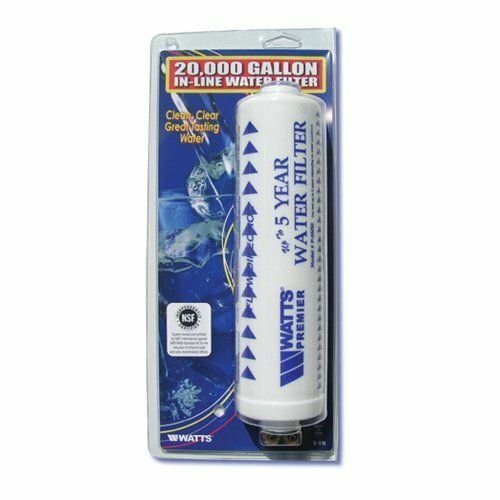 This high capacity inline water filter is WQA certified for 20,000 gallons or up to 5 years. It is also WQA Certified for the reduction of chlorine taste and odor and also reduces scale buildup and improves taste and clarity of the water. Special filtration media allows the system to also be certified for bacteriostatic properties to guarantee extended filtration life. Lasts up to 5-Years or 20,000 Gallons. If you have any questions about this product by New Unbrand, contact us by completing and submitting the form below. If you are looking for a specif part number, please include it with your message.